Study shows worms and animals with backbones share a common ancestor. A recent study has revealed that humans and a creature known as an acorn worm that lives on the floor of the ocean and eats through slits in its mouth, share a common ancestor, according to a report on natureworldnews.com. A research team from the Okinawa Institute of Science and Technology (OIST) Graduate University sequenced the genome of two distantly related worn species, Ptychodera flava, from Hawaii, and Saccoglossus kowalevskii, taken from the Atlantic Ocean. After making a comparison to 32 other animals genome, the research team found that the worms contained 70 percent of the genes in common with humans, and can both be traced back to a common ancestor, that originated during a period known as the Cambrian explosion, about 550 million years past. The acorn worms share about 14,000 genes with modern humans, the study revealed. It is not only that humans contain the genes from the ancient ancestor, but all animals with backbones and also cephalopods (octopus and squid) and sea stars. The lineage of these types of animals is called dueterostomes. Acorn worms are the oldest of the dueterostomes, dating back to the origin of the line some 570 million years ago. Also noted in the research was the fact that acorn worms and humans each have similar gene clusters, and that information indicates the clusters work together to perform developmental functions in the bodies. The researchers say they believe one of the gene clusters is related to the development of the human pharynx, leading to the conclusion that the filter feeding mechanism of the acorn worm has a connection with the human thyroid. 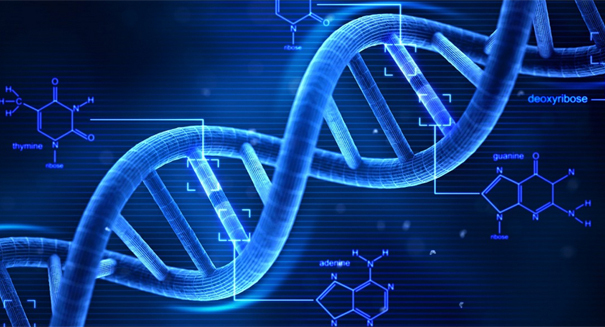 Dr. Oleg Simakov, lead author of the study, said the genomes were necessary to bridge the gaps in understanding the genes of our common ancestors. He adds their analysis of the genome of the acorn worm gives us a look at the complexity of our Cambrian ancestors, while also adding support to the theory that there is a link between the development of the pharynx and the feeding system life style that contributed to our own evolution. The findings of the study were recently published in the journal Nature.